2-b or 2-c?Where do I fit in? :help:I am new to this forum and have learned so much...thank you all. From what I have gathered I have fine texture, High Porosity and med. density hair. When I did the Elasticity test I found my hair needs protien...so off to Sally's beauty supply I went. 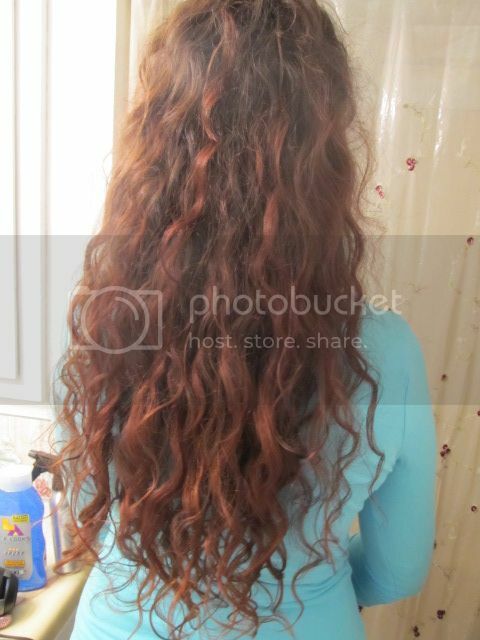 In the picture my hair was done this morning with the plop method and Nexxus Alluring Curls gel...not sure if this is CG friendly? This is 2 days after washing my hair. What I am still unsure of is am I a 2-c or 2-b? If I were to use a defuser would that bump me up to a 3-a? WHAT AM I LOL, where do I fit in? Please help and thank you kindly! P.S. I gots me a K-pak so I am ready to fix my protien issue/needs. I use a shampoo bar every 3 days along with ACV rinse. Your hair is so long that the weight is probably stretching out your wave quite a bit. As it is right now, I'd say easily 2c if it were shorter. I really think you should try diffusing sometime and see what it does. My hair gets really wavy when I diffuse, more than when I plop. OK so a 2-C, thank you so much for your help. 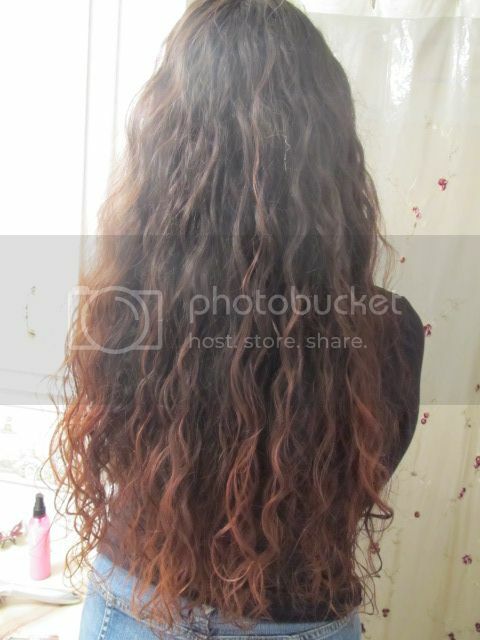 I am also sure my hair does way the wave down but I want my hair even longer than it is now and cutting is not an option for me. I just bought a diffuser and tried it out for the first time doing the Pixie method I think it's called. I'm sure I did not do it 100% right as I am not used to using one but here is what it looks like after.With a tiny bit of gel...I'm afraid of gel because I don't want to end up with crunchy hair. Again thanks! A 2c and very pretty hair! So pretty! I've always wanted my hair that length. I'd also say 2C. 2C! So pretty and very long too. What's the shortest you've had it? Did it curl up more or less when it was short? Right now I don't see any ringlets (whirly curls) but I think they can be achieved with the right regimen. Don't be afraid of gel. The rights ones will not cause crunch. So far I've gotten crunch with three gels but not three others. Also you could try a mousse. P.S. Be careful with the ACV rinses. Once a month or so they're really great for your hair, but more than that they can dry it out. But then everybody's hair type is different and I know some people do it every week and are okay. I just have porous hair too and it's quite dry so I'm wary. I think you will regain more curl once the damage grows out. Also if you color damaged your hair to lighten it (peroxide), you blew holes through the hair shaft so that means you need to try protein treatments to help repair it. That sounds bad but it's perfectly normal. If you want to lighten your hair you can, but you have to be sure to restore the protein afterwards. Sounds like you're already doing exactly what you need to with the K-Pak. It'll get healthier and healthier with CG just in general so no worries. There are water soluble silicones so that's okay. It doesn't say sulfate free but I don't see any sulfates from a glance. I do see a lot of ingredients though including polyquats which some people say cause buildup. However my hair is porous and I'm able to use polyquats without buildup, I think. You'll probably be able to too. Thank you, yes those curls like to hide don't they...maybe it's the heat that makes them curl easier. I color treated my hiar a few years ago a red type color now it seams to be getting lighter and lighter and redder. I think I like the LA LOOKS on my hair better so that's what I am now using. Thanks for looking that up for me I think my daughter will use it on her hair.